There is a lot of popular jewelry in the world, but few jewelry look better than pearls. Pearls simply make a woman look more elegant and more mysterious. They make any special look amazing and they will always be in fashion. These are just a few of the reasons why women should have a set of pearls. A pearl is actually made from crystallized calcium carbonate and it’s produced by a shelled mollusk. Wild pearls are extremely rare so most of the pearls are cultured or farmed. There are also plastic pearls or glass pearls, but their value is lower than culture or wild pearls. However, you can use any pearls you like and there are a lot of handmade jewelry stores that have good prices when it comes to both types of pearls. If you want something exquisite you can get jewelry from Tiffany’s, Cacharel and even Dior. The price may be high but you will get to wear a piece of jewelry that is timeless and beautiful. When it comes to wearing pearls, there is a lot of uncertainty. Women often wear pearls with the wrong outfits and that can lead to a major fashion disaster. Although pearls look good by themselves, combining them with sport items or casual items is definitely not a good idea. Pearls should be combined with a professional outfit or an elegant outfit. They work amazing with a little black dress but they will also look good if you have an elegant shirt and a pair of pants with high heels. 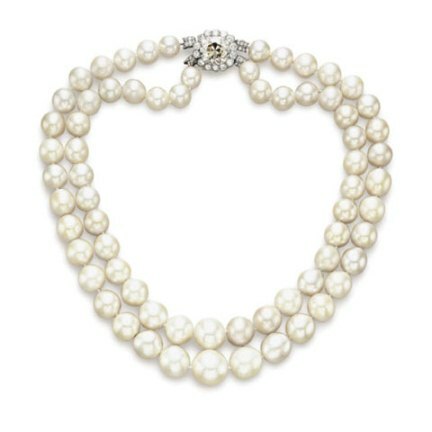 The possibilities are many, but if you really want to look chic you will get a very long pearl necklace for a touch of 20’s to your style. Pearls are also a popular choice for bridesmaids. They usually wear a set of pearl jewelry: a necklace, a bracelet, a ring and earrings. Some bridesmaids even sew pearls on their dress to make it look prettier while others use pearls on their hair pins. You shouldn’t think that white pearls are the most popular ones. Pearls can have a big range of colors: black, pink, blue, champagne, green and even purple. You can create a dramatic look with darker shades of pearls and even combine them with other diamond jewelry. It’s up to you and how much jewelry and glamour you want to add to your outfit. After all, pearl jewelry is great because you usually don’t need any other accessories.